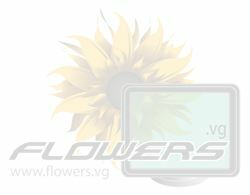 Flowers - Over 25,000 Beautiful Pictures of roses, lilies, tulips, carnations, bleeding hearts, daisies, iris, orchids, daffodils, columbines, geraniums, petunia, pansies, sunflowers, blossoms, and many more different types of flowers. The beautiful flower pictures are sorted by the different names & colors of the flowers. Garden Animals & Insects - Pictures of many different types of animals, bugs, and insects around the garden. Find beautiful photos of colorful butterflies, cute bunny rabbits, pet frogs, pet dogs, cats, & more. From the garden, there are images of beneficial insects of centipedes, ladybugs, praying mantis, worms, and spiders. Plants - Pictures of some different types of plants and shrubs. Find interesting pictures of the carnivorous venus fly traps, clovers, shrubs, vines, leaves, cactus, mushrooms, trees, and more. Garden Fruit and Vegetables - Pictures & Wallpaper of many different types of fruits and vegetables from the garden. Pictures from the garden include juicy strawberries to ripe tomatoes with many different types of vegetables.